Company NOEN, a.s. | NOEN, a.s. The history of NOEN, a.s. started in 1997. Its activity at that time above all focused on economic and organizational consulting and trade representation of engineering firms abroad. Other important activities involved the development of energy projects and realization of financial studies for engineering companies. An important change in the business of NOEN, a.s. occurred in 2003. Four new lines rose above all specializing in the fields of designing, production and construction of mechanical and electrical equipment. 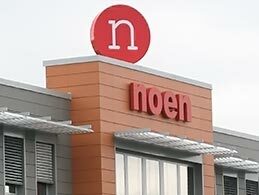 The next year, NOEN, a.s. managed to stabilize its position on the market. It ensured a necessary number of orders, retrofitted its workplaces with further software and hardware and provided sufficient cash flow in the course of the entire year. Changes were made in the company’s Board of Directors as well as Supervisory Board, and the company’s scope of business activities expanded as well. In 2005, NOEN, a.s. began to gradually extent its professional spheres of activity in particular to ČEZ, a. s. There were two spheres in question. The first sphere involved expert activities and consultancy in the fields of open-pit mining technologies during foreign acquisitions by ČEZ, a.s. The second sphere then involved engineering-supply activities during recovery and construction of new resources in the Czech Republic, i.e., in the fields of coal handling and energy by-products. In the course of the following years of its existence, NOEN, a.s. became the main partner of Severočeské doly, a.s. The companies Vršanská uhelná společnost a.s., Sokolovská uhelná, a.s., ŠKODA PRAHA Invest s.r.o., PRODECO, a.s., and Vítkovice, a.s. are just some of the other significant subjects that NOEN, a.s. cooperated or continues to cooperate with. 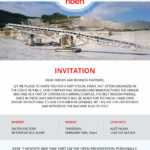 At present, NOEN, a.s. employs a team of more than 100 experts, top planning engineers and designers having many years of practical experience, who use state-of-the-art computer technology in performing their design and construction work. The company’s main activity currently consists of designing and engineering machines and equipment for open-pit mining as well as mineral storage. This includes studies and projects of new bucket wheel excavators, reconstructions and modernizations of belt conveyors and machines for stockyards. 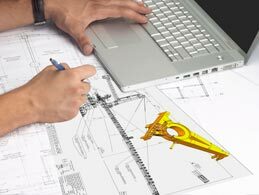 Furthermore it involves design documentation, including calculations and shop drawings of partial nodes of machines from both the indicated field and complete machines. NOEN, a.s. has grown exclusively on the Czech market, however in the last three years it has been intensely investing in the development of its foreign business as well. In 2013, it has made great inroads into the foreign market. 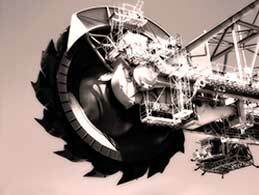 The conclusion of a contract in Germany for the supply of two bucket wheel excavators was the first delivery of a final product onto the foreign market. Our company had only sold engineering hours abroad so far. We, together with our subsidiary companies, began to succeed in including further technologies on the Czech as well as the foreign market. Early in 2014, NOEN, a.s. achieved brilliant success in the Balkans. Our company is going to supply a unique bucket wheel excavator, which should deal with discovering a new coal deposit as early as next year, to the Bulgarian state power company Mini Marica – Iztok. This job is a reference of prestige for NOEN, a.s. and makes it part of a very small group of world suppliers in this line. The aim is to continue in the tradition of engineering supplies from the original Czechoslovakia not only to the Balkans but to other regions as well. During its existence, NOEN, a.s. has become a member of the association Česká dobývací technika (CDT) (Czech Mining Engineering). CDT is an association of fifteen Czech firms with the same intent. Motivation to establish this association has resulted from the so far unexplored possibilities of utilizing natural resources in some countries of the world, and from ideas of extending the sphere of trading by localities with a high market and transaction potential. In 2014, NOEN, a.s. became a member of the Mining Union. This interest group, which has been operating in the Czech Republic since 1990, above all cooperates with state administration bodies in making observations regarding laws and decrees concerning the mining industry.